We are back in wine country again. This is our third trip here, and we are staying on the Sonoma side again. Yulia found us a great hotel on a golf course south of Santa Rosa, and having a big place to relax in is really the way to go. We started the day in downtown Santa Rosa, which frankly is a bit worse for wear. A lot of the Napa and Sonoma valleys date back to the late 1800’s. Downtown Santa Rosa has some pretty col historical buildings, but just doesn’t have the cool kitschy feeling you want in wine countrySo we set the GPS to Sonoma, and headed across the hills. We hit Glen Ellen after some beautiful but windy roads, and found the wine country we wanted to hit. 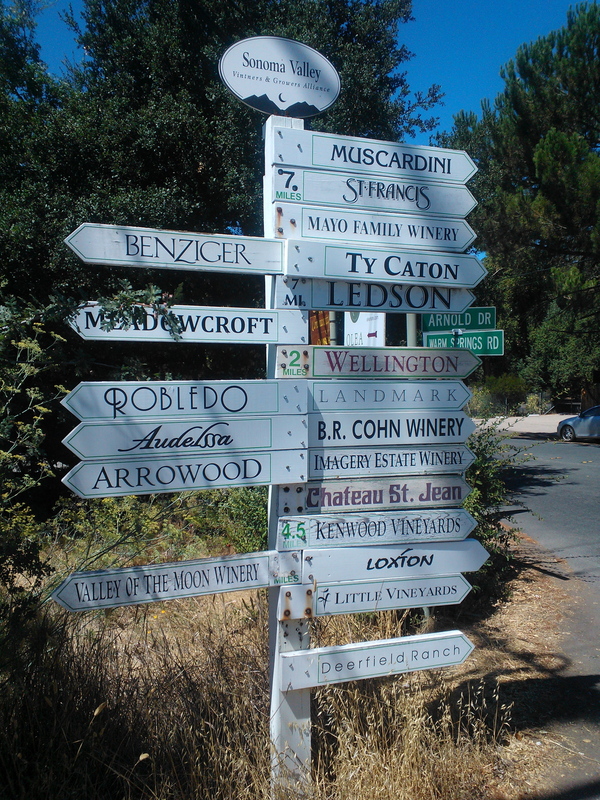 The whole central Sonoma Valley has the old, country feel, with little storefronts and fruit markets between the wineries, with signposts on the way, pointing to each of the wineries, in all directions. We hit a little market to pick up some fruit and chocolate. headed into downtown Sonoma to walk inside the shops and parks. it is an amazing city center, with shops, historical architecture, and history all rolled together. We wandered the streets, and the courtyard and alleyway shops. The whole town was amazing. Napa, in comparison is much newer and not nearly as walkable. We went from there to three of our favorite wineries. First was Cline, which has amazing gardens and pools. THey have a bird collection i the gardens, and Sasha took time to have a conversation with several of the birds. She went over to the turtle pool while we tasted a few wines. We next went across to the Jacuzzi winery, and since the crowd was too big to do wine tasting, we did an olive oil tasting instead. it was really fantastic stuff, and you really appreciate how fresh and crisp oil can be. After that, we went to Viansa, which we have visited on every trip to Napa. They have an outdoor pizza oven, and an amazing little store. We got some wine and food for the evening, and headed back to the hotel. We had a normal room when we checked in, but Yulia worked her magic, (and used some Hilton Honors magic as well) and we were upgraded to a Junior Suite. The staff moved our luggage while we were away, and we cam back to a top floor room of about triple the size. It’s nice to order room service, hit the pool for a bit and just relax. We should do this more. Previous Post Previous post:You don’t need a magic feather!